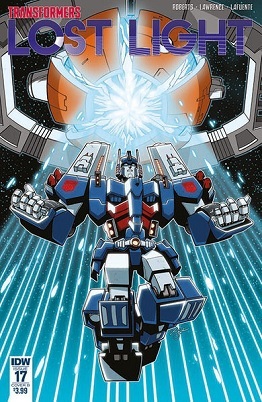 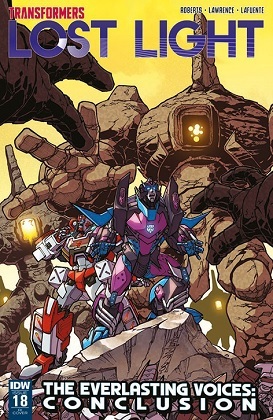 In 2008 IDW's Transformers introduced a new version of the character Arcee. 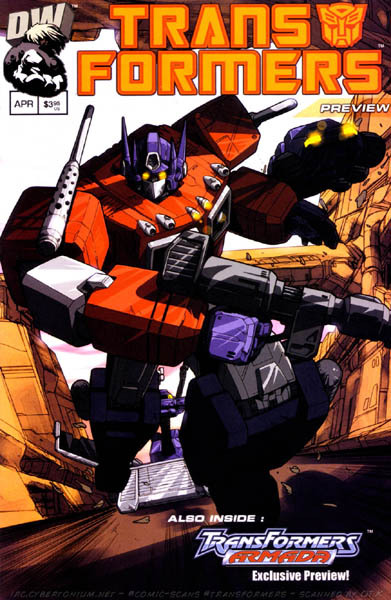 This take was....questionable, but overtime various retcons were applied to it. 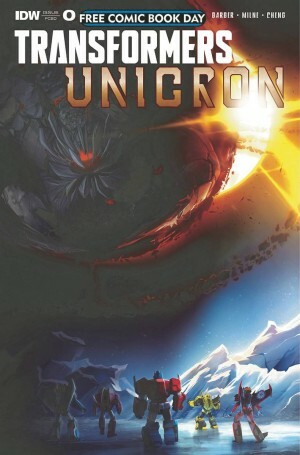 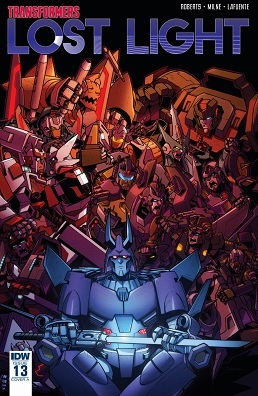 Transformers: Lost Light #24 - "Crucible (Part 6): A Spark Among Embers"
Transformers: Lost Light #23 - "Crucible (Part 5): The Unremembering"
Transformers: Lost Light #22 - "Crucible (Part 4): The Return of the King"
Transformers: Lost Light #21 - "Crucible (Part 3): Farsickness"
Transformers: Lost Light #20 - "Crucible (Part 2): Lūstrāre"
Transformers: Lost Light #19 - "Crucible (Part 1): A Dance Before Dying"
Transformers: Requiem of the Wreckers came out recently. 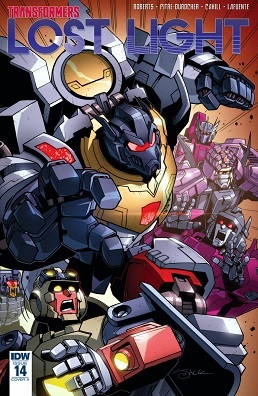 It featured the threats of the previous two parts, Overlord the ex-Phase Sixer and Tarantulas the ex-Mesothulas. 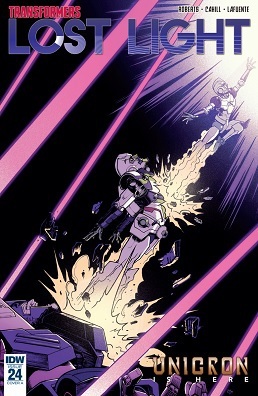 The former, about to indulge himself on a prone Springer, was interrupted by Verity Carlo. 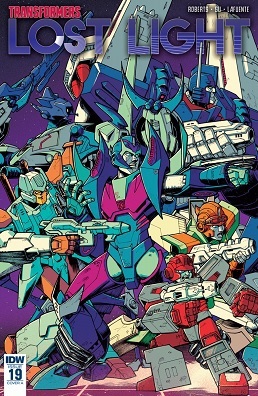 Transformers: Lost Light #18 - "The Everlasting Voices : You Are Here"
IDW announce another Star Trek crossover - And it may be the most gloriously nutty one yet! 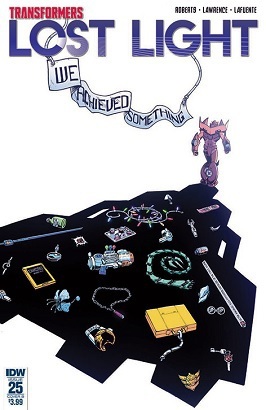 After Doctor Who, The Legion of Superheroes, Planet of the Apes and the Green Lantern Corp, who could it be with? 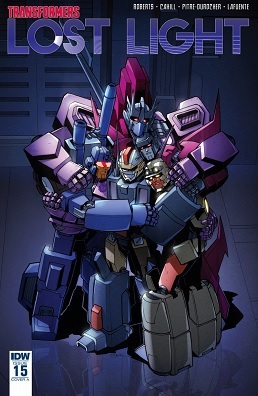 "Glad to have you here, for one last dance." 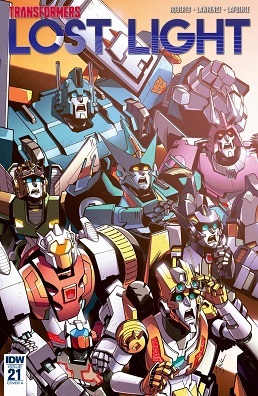 "Welcome to the beginning of the end"
Transformers: Lost Light #16 - "The Everlasting Voices : Metastasis"
"Early 2001, they told Pat that they were doing an article about 80's nostalgia, and told him he would be perfect to draw a Transformers comic. 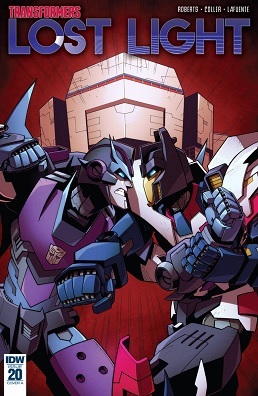 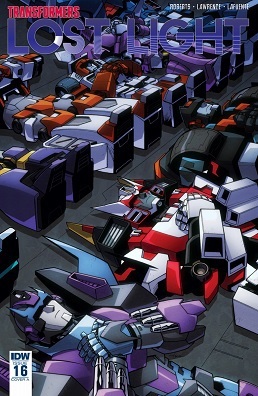 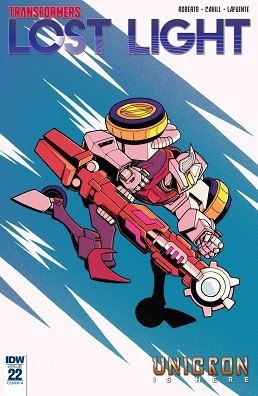 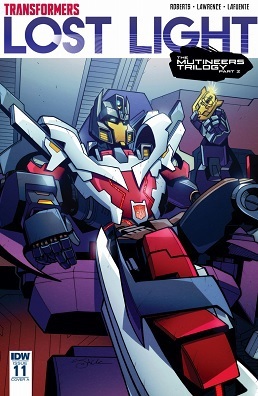 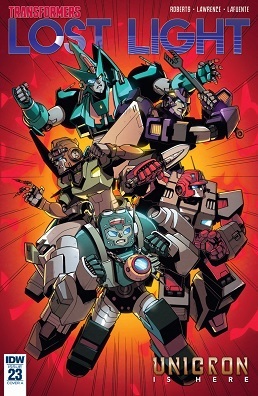 Transformers: Lost Light #13 - "Sardines"
Transformers: Lost Light #12 - "The Plotters' Club (Part 3): Journey's End"